It would take a truly drenching winter to declare California’s drought over and, at least so far, that hasn’t materialized. One way water companies are nudging homeowners to conserve? Asking them to rip out their grassy lawns. In some places, they’ve been paying people to do it, and that’s given a boost to companies hawking alternatives. The grass in front of Rebecca Lowell’s house was dead — dead dead — as in, not so much yellow as gray. She moved with her three children to this house in Los Altos last year, as the drought was going from bad to worse. Now she's replacing the lawn with native shrubs. Lowell says if her kids miss grass, they can ride their bikes to it. She is also installing an irrigation system that tracks the weather and only waters when it’s needed. It'll water close to the ground because with aerial sprinklers, too much of the moisture evaporates before the plants get a chance to use it. The Santa Clara Valley Water District pays homeowners $2 per square foot to tear out their lawn and plant something less thirsty. In the case of her large dead lawn, Lowell is hoping to get roughly $6,000 to put toward her landscaping bill. For its part, the water district estimates it saves 36 gallons a year for every square foot of turf that’s replaced. “This is helping us plan toward the future and save water,” says Ashley Carter, the district’s conservation specialist. The water district used to pay $1 per square foot, but opted last spring to double the rebate. Since July, homeowners have traded in 10 times as much grass, compared to this same period last year. Carter says there are another 1.4 million square feet of conversions on the way. 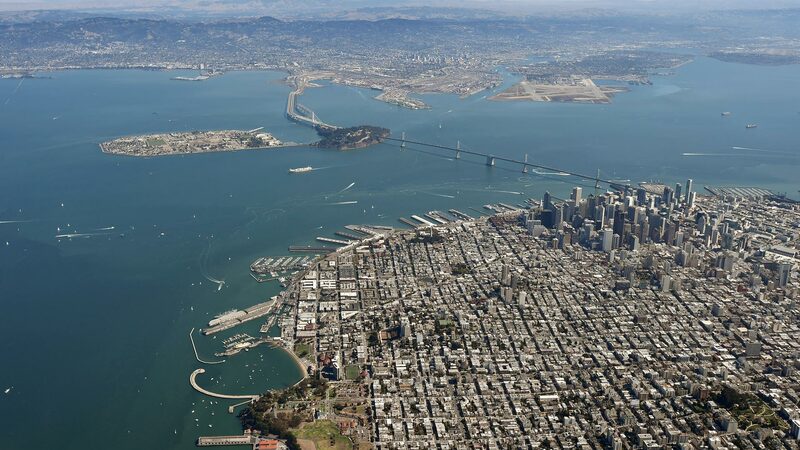 That could save as much water as 300 homes use in a year, based on the district’s estimates. “The increased rebate amount definitely helps people who were maybe on the fence about it,” Carter says. Dozens of agencies around the state trying to throttle back on water use have similar “cash for grass” programs, including in the East Bay, Los Angeles and Sacramento. 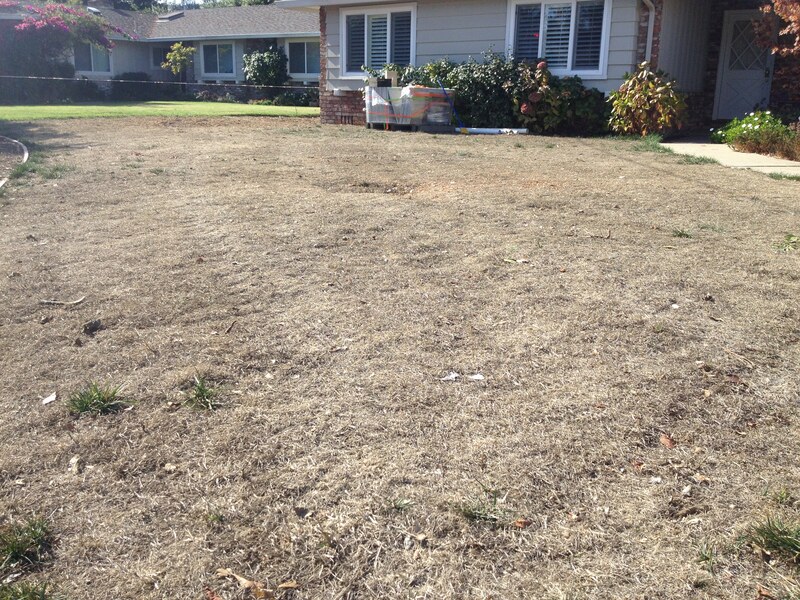 Despite the popularity of such programs, farmer Ed Zuckerman says a lot still has to change about the way Californians think about lawns if residents are to make a long-term transition to a low-water way of life. “There’s still a pretty entrenched value system built up around the cultivated English garden with a well-manicured lawn,” Zuckerman says. 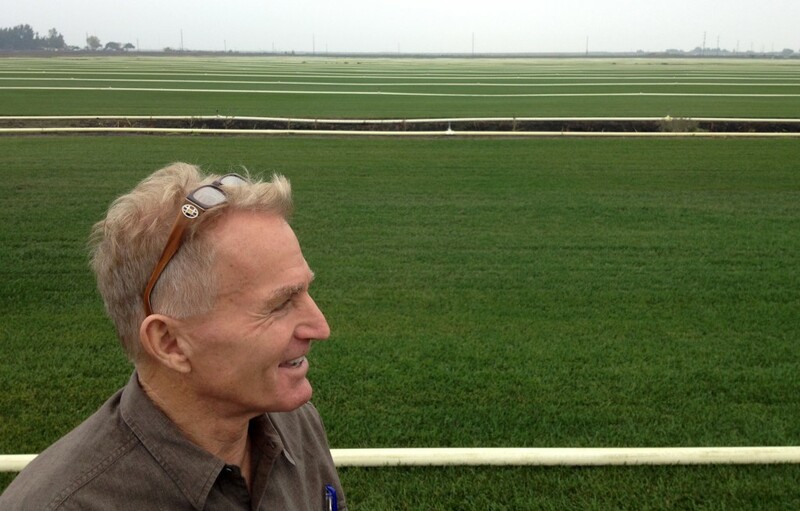 Zuckerman is CEO of Delta Bluegrass, a sprawling sod farm surrounded by levies near Stockton. On an overcast fall day, he showed off seemingly endless bright green acres, including grasses that were native to California before 1830 — that is, before farming became widespread. Landscape watering makes up about half of residential water use in California. Wearing blue jeans and brown boots, Zuckerman strode through a patch of wet grass, pointing to varieties with names such as native preservation and native mow-free. He says the mow-free, which grows long and flops over into what he calls a meadow look, can be a tough sell. Some people like the smell of fresh-trimmed grass and prefer the standard-issue crew cut of a traditional lawn to one with a sort of hippie shag. Zuckerman says the meadow look is also appealing if you’re a mouse or vole looking for a new home, which can be a turnoff to humans. Even so, Zuckerman says alternative varieties of grass are a growing part of his business, thanks to both homeowners ready to be done with traditional lawns, and companies redoing their campuses. Another approach that’s growing, despite some skepticism, is synthetic turf. Jason Miller installs it for a living around Sacramento and the Bay Area. He says partly because plastic grass requires no water, business lately has been crazy. 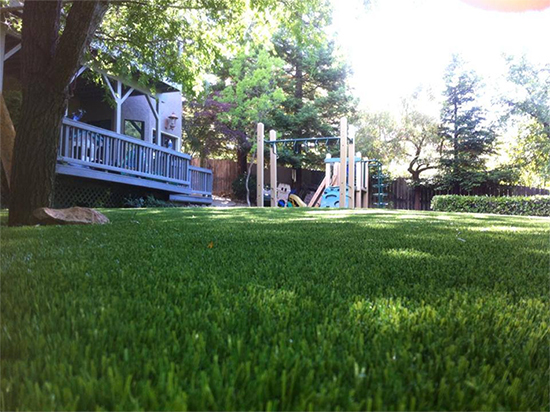 Synthetic turf doesn’t always qualify for rebates. And critics argue it’s more akin to a parking lot than a lawn, in terms of the habitat — or lack thereof — it provides, to say nothing of the temperature. Miller says a good fake lawn made from the latest materials can be much cooler, but it can’t rival the natural air-conditioning of the real thing. “It’s still going to get hotter than grass, because grass is an organism,” he says. Watering grass — and other organisms, from flowers to shade trees — makes up about half of residential water use in California. If the drought persists, more homeowners will likely try to wring out their traditional yards for savings.